The three leaders also touched upon the release of the hostages. 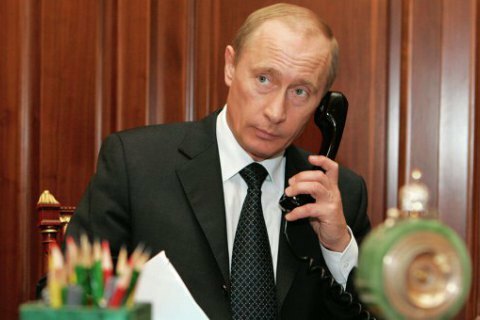 German Chancellor Angela Merkel, French President Francois Hollande and Russian President Vladimir Putin in a telephone conversation agreed to step up negotiations on the settlement of the situation in Donbas in "Norman format" (Ukraine, France, Germany, Russia). "It was agreed to give an additional impetus to the activities of the "Normandy format". In this regard, it is planned to hold in the near future a series of joint activities at different levels," the Kremlin website reported om 19 January. In general, the parties expressed dissatisfaction with the general situation in the Donbas settlement. In particular, the three leaders noted the deterioration of the situation along the contact line in Donbas, as well as the lack of productivity of work in the trilateral contact group. The sides agreed to step up efforts for the early exchange of detained persons on the basis of the principle "all for all". The press service of Hollande said that he recalled about the urgent need to make progress on humanitarian issues, in particular the release of prisoners and the restoration of the water supply. On 20 October, the heads of "Normandy Four" countries agreed at a meeting to develop a "road map" for the implementation of the Minsk agreements. On 29 November, "Normandy Four" foreign ministers failed to reach an agreement. Ukrainian minister Pavlo Klimkin said "a fundamental difference in the vision of the road map" remained between Ukraine and Russia.